Impress your dinner guests this Thanksgiving with these adorable pumpkin dinner rolls! They’re super soft, tender and look so impressive even though they are so easy to make, and are ready from start to finish in under 3 hours. The pumpkin puree adds moistness, a hint of flavor and a festive orange color. Be sure to use pumpkin puree and not pumpkin pie filling, which has sugar and spices added to it. 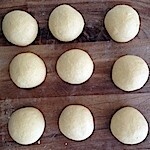 If you wish, once the rolls are out of the oven, brush them with melted butter to give a little shine (I didn’t). The recipe makes 9 dinner rolls. 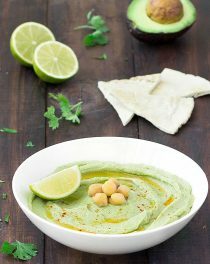 If you are having guests, double or triple the recipe as they will quickly disappear from the bread-basket on your dinner table. Dinner rolls are best fresh out of the oven… and with a slathering of butter… amazing! I promise you – the extra effort is totally worth it! 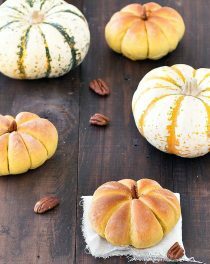 Give these pumpkin dinner rolls a try and let me know what you think! Leave a comment and don’t forget to take a picture and tag it #aseasyasapplepie on Instagram! I’d love to see what you come up with. Cut the pumpkin into cubes and bake on an oven tray lined with parchment paper in a pre-heated oven at 180 degrees C (355 degrees F) for 20/25 minutes. Once the pumpkin is cooked, puree it with a hand blender. In the bowl of a stand mixer fitted with the hook attachment, add the flour, pumpkin puree, and water. Start mixing and, when all the ingredients come together, add the oil and salt . 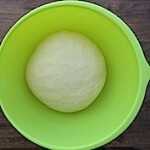 Continue to mix until the dough becomes soft and smooth; this will take about 10/15 minutes. Make a ball and place it into a bowl covered with cling film. Let it rise until double in size (more or less 1 hour and 15 minutes). Divide the dough into 9 pieces of approximately 85 grams (3 ounces) each. and tie a piece of kitchen string around it without pulling too tight as it will rise and it will be very difficult to remove it afterwards. and proof for about 1/2 hour or until the dough springs back very slowly when pressed with a fingertip. Preheat the oven to 180 degrees C (355 degrees F) and bake the rolls for 20-25 minutes or until golden. 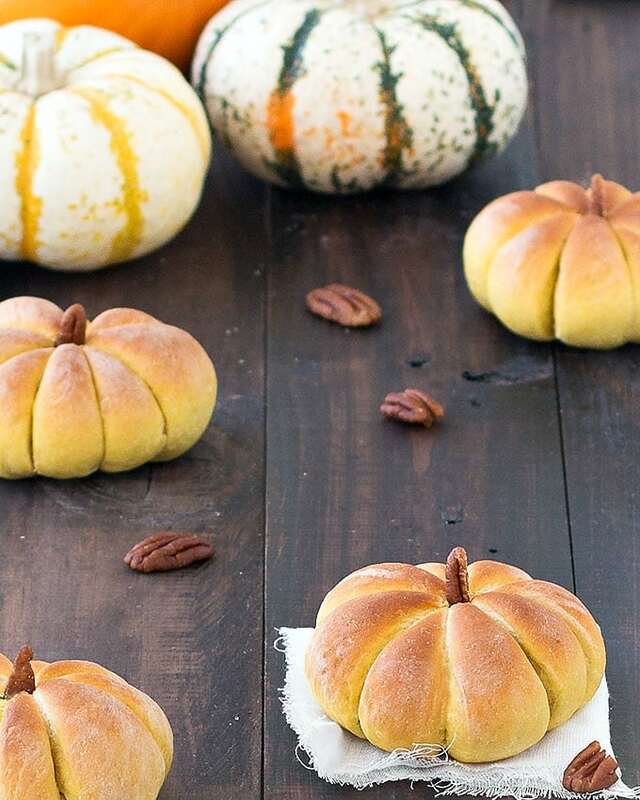 Cool the pumpkin dinner rolls on a wire rack then carefully remove the string and place a pecan slice on top. Elena, you did an AMAZING job, love every single one of them like crazy!!! These are so adorable! I have added them to our Thanksgiving menu, hopefully they turn out! I hope so 🙂 Let me know if you have any questions! I am going to try these although being in the UK we don’t celebrate Thanksgiving! Can you tell me at what stage you remove the string? Do you cook them with the string on? these are adorable, a little too much work for the number of people I cook for each day, but still really sweet. you commented about brushing the roll with melted butter, but there is a better way to make them shiny: brush with an egg wash before baking. you can use an egg yolk and cream whisked together for a real shine, or simply an egg and water will do the trick as well. personally, I like them unwashed, they have a more rustic appearance. nice job. Could you use canned pumpkin in this recipe? And how much would you need? (Not sure how much the cooked pumpkin you used yielded in puree) They are adorable!! Almost too cute to eat! Thanks! Do you serve them with the strings? Thanks! 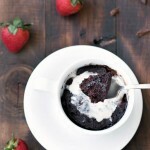 These look adorable and sound easy – I want to try a gluten free version. 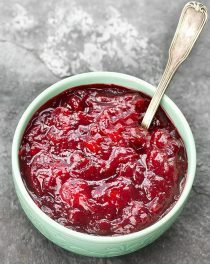 How much canned pumpkin puree would I use? 1o ounces or…? 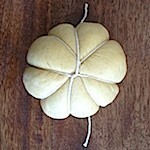 Also, do you add the nut stems after baking and removing the strings? Do you have a photo of the rolls after the strings are added and before they rise, so we know how loosely to fashion the strings? Thanks! Thank you Sandra! 🙂 Try to use 3/4 cup pumpkin puree. You add the nut stem after baking (sorry I forgot to mention it, I will update the recipe now). 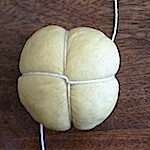 The picture in the tutorial is taken before the second rise. I would assume if using canned pumpkin is the same 10.6 oz vs making your own puree? Adorable, can’t wait to to try them! We are going to cut some of the steps and use already made dough to simplify even more. Thank you so much for sharing them! You are welcome! 🙂 Happy Thanksgiving! I’m looking forward to trying to make these for Thanksgiving. For the proofing step, did you do more than just let them sit out to rise? No additional step! 🙂 If it’s too cold where you live, you can put them in the oven switched off with a bowl of hot water, it will speed up the rising process. Happy Thanksgiving! Hi! I am about to try this adorable and delicious sounding recipe. I have 2 questions! Hi Holly! I used active dry yeast, you can replace it with instant yeast (the one that doesn’t have to be dissolved in water). Also The rolls will be served tomorrow afternoon what do you suggest…should I bake them tonight and reheat before serVing Tomorrow? 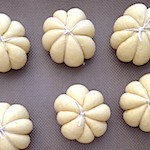 Or can I form them with string and let sit overnight before baking tomorrow? Any recommendations ? Thanks so much!! I think it’s better you bake them tonight and reheat before serving. Let me know how it goes and Happy Thanksgiving! Beautiful post, I love the pictures! 🙂 Thank you Kate! Do you think it would be possible to make these ahead of time and freeze them? With so much to do the day before, I won’t have time, and I would love to try them! 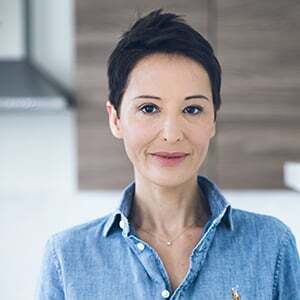 Hi Mary! You can make them ahead of time, and freeze them for up to one month. Allow the baked roll to cool completely, put them in a large ziplock bag, and seal tightly. To reheat, let them thaw on the counter, and then warm them in oven at 150 degrees C ( 300 degrees F) for 15 minutes. Thank you! I will let you know after Thanksgiving!